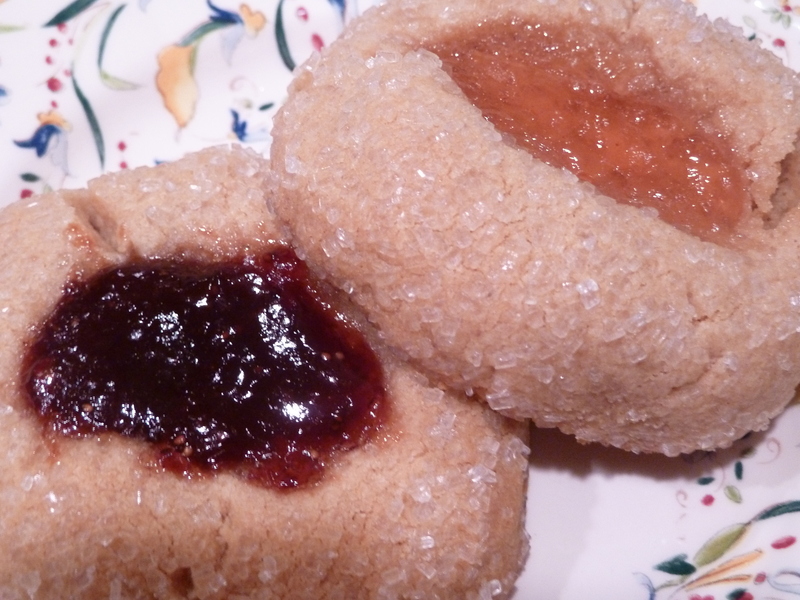 pb&j thumbprints | Is there any wine left? Anyway, I had a fresh batch of mayhaw jelly from my mom and knew I had to try this recipe when I saw it. What is mayhaw jelly you say? My gosh, if you aren’t lucky enough to have had mayhaw jelly so far in your life then get thee to south Louisiana ASAP and find a jar. Mayhaws are little berries, about the size of a blueberry, with a reddish skin. Once you squeeze the juice out of the berries, you can use it to make jelly, which is about the color of apple jelly and has a smooth, sweet flavor. It is actually mayhaw season right now and the trees up in Norwood are bursting. We picked a few gallons of berries at Easter so I am looking forward to going home sometime this summer to make jelly with Momma. 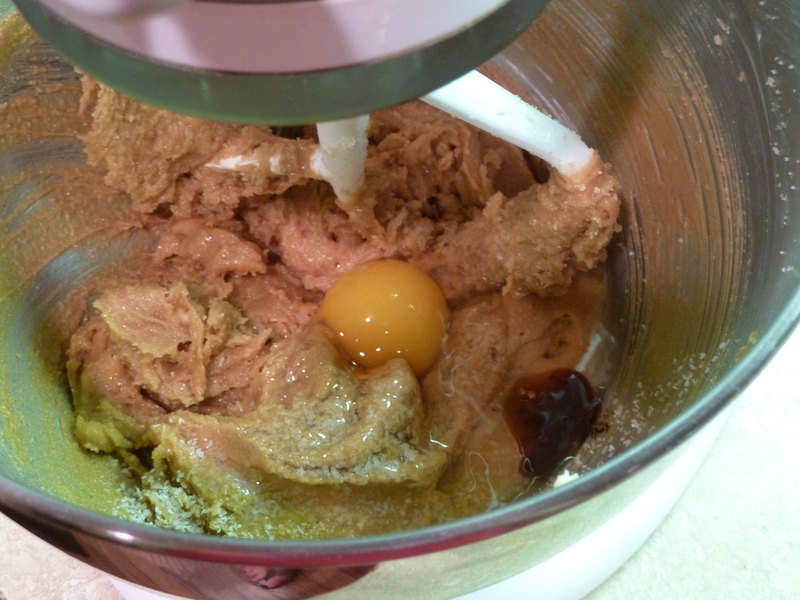 Beat the butter in the mixer until it is light a fluffy (about 2 minutes). 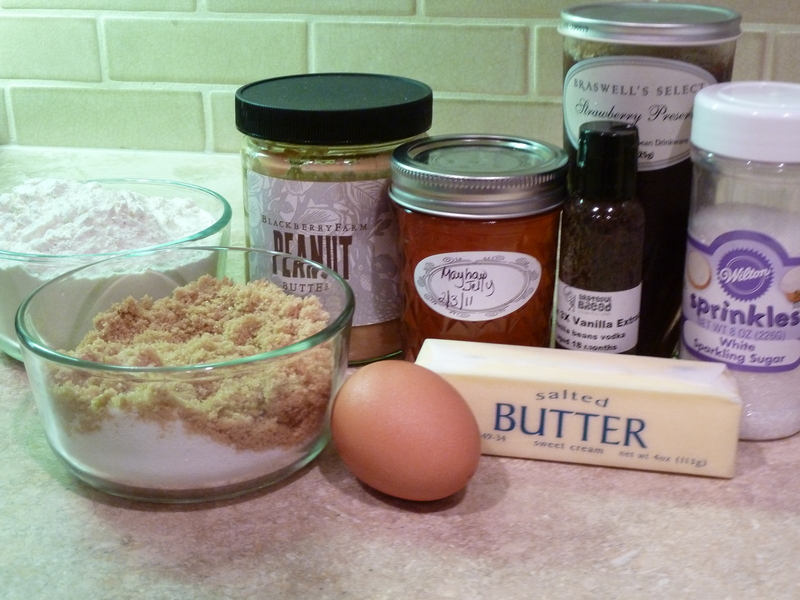 Add the peanut butter and sugars and beat until well-combined. Add the vanilla, egg and salt and beat for another minute. Add the flour slowly, mixing after each addition. 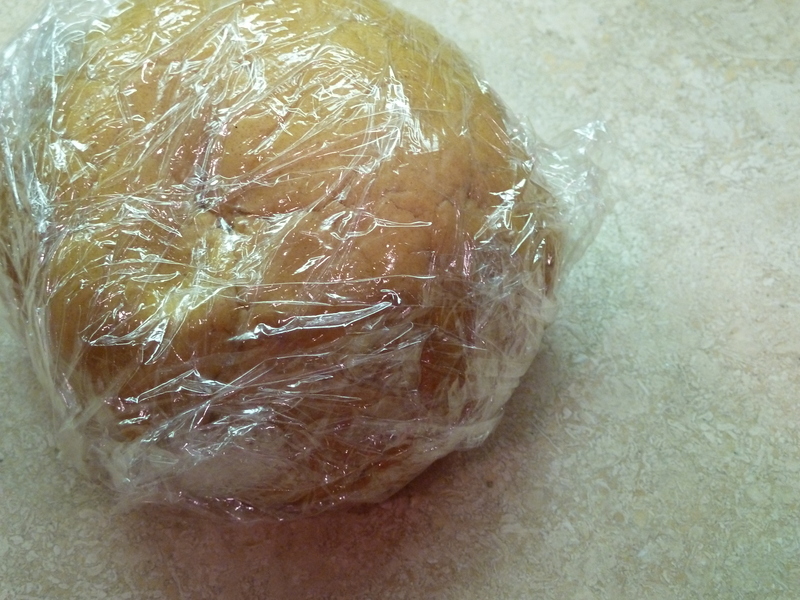 Once the dough is completely combined, wrap it into a ball and refrigerate it for at least an hour. Once you remove the dough from the fridge, roll it into small golf ball-sized balls and then roll the balls in the sugar to coat. 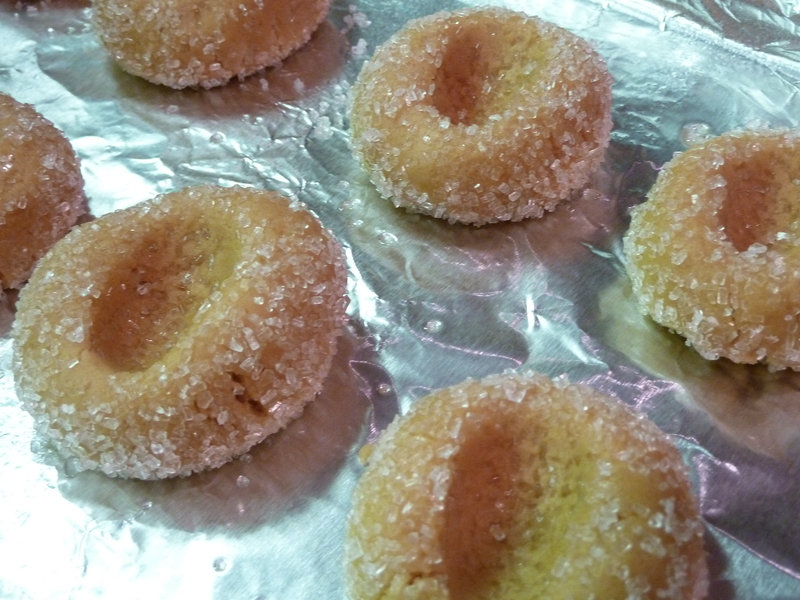 Place the balls of dough on a cookie sheet and press your thumb into each one to make an indention. 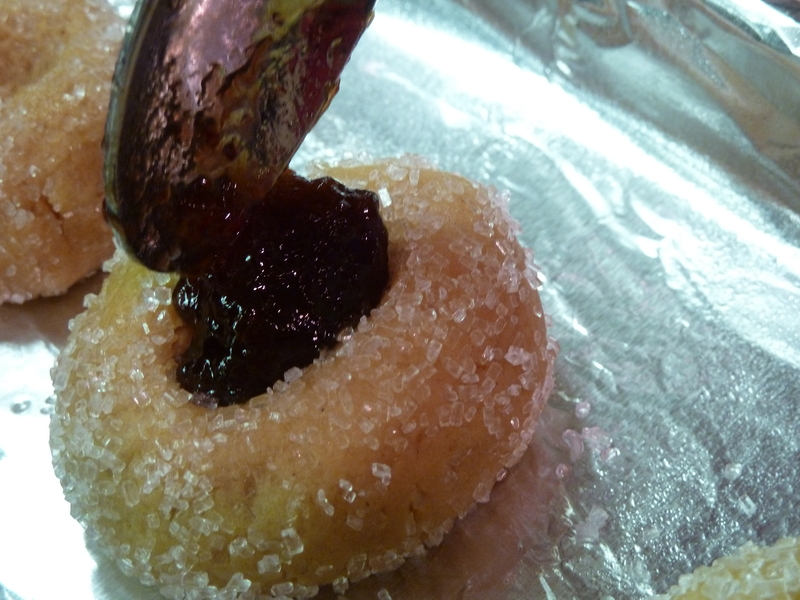 Fill the indention with jam. Bake for 12 minutes at 350 degrees F. Remove and let cool before eating. Beat the butter in the mixer until it is light a fluffy (about 2 minutes). Add the peanut butter and sugars and beat until well-combined. Add the vanilla, egg and salt and beat for another minute. Add the flour slowly, mixing after each addition. Once the dough is completely combined, refrigerate it for at least an hour. 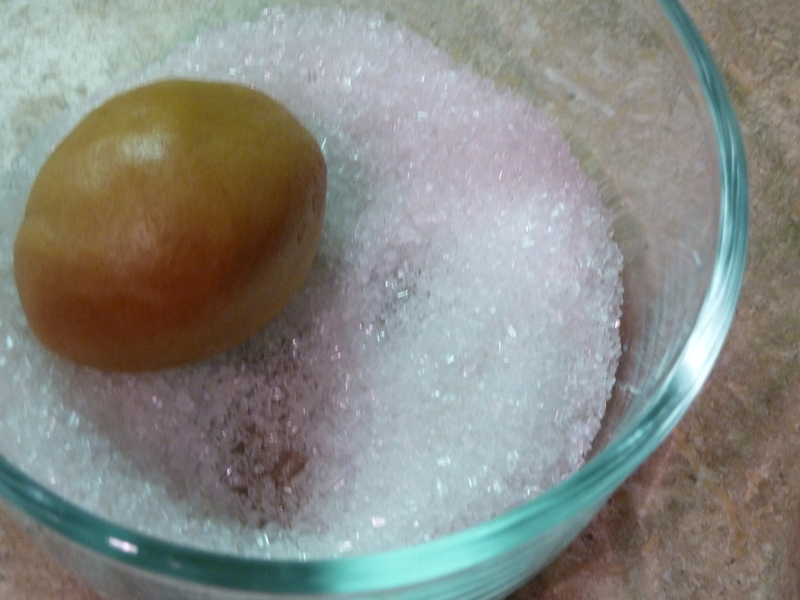 Once you remove the dough from the fridge, roll it into small golf ball-sized balls and then roll the balls in the sugar to coat. Place the balls of dough on a cookie sheet and press your thumb into each one to make an indention. 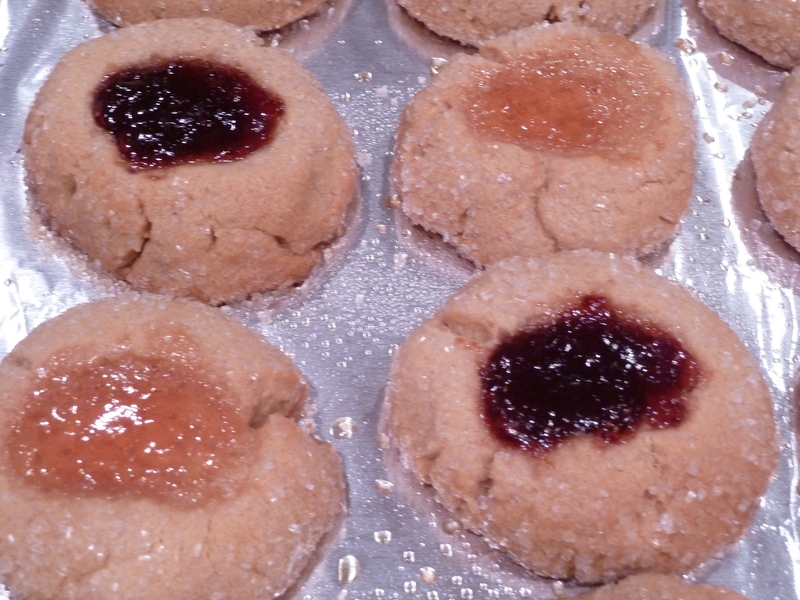 Fill the indention with jam. Bake for 12 minutes at 350 degrees F. Remove and let cool before eating — the jam will be SUPER hot! Ah.. the good old days of Food Network, Golden Girls and Designing Women..
score one for houston « Is there any wine left?